A preview of Jacqueline's beautiful wedding day in Half Moon Bay by the talented Miss. Violet! So glamorous and perfect in every detail! More Cheers for The Dolls - Mrs. Hileman! 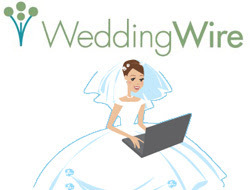 Another 5 star review for Violet's services on Wedding Wire! "Violet is incredibly talented and passionate about her work!! She did an amazing job on my wedding day!! Violet has such a sweet personality which was incredibly comforting especially with wedding day nerves! I felt amazing and I am so thankful she was a part of my day!! I cannot thank you enough for making my bridesmaids and I look so beautiful!!" Christina Hendrick's red lip look is simply stunning! This is a pinky-red lip with complimentary eye and cheek is done right, well done perfectly! Wouldn't this be the perfect, modern take on the classic red lip for today's bride? Oh yes, we think so indeed! One of our favorite wedding planners, Kathryn Kalabokes of Dream a Little Dream Events has just announced their first bridal tour of the 2010 season, January 24, 2010. The Makeup Dolls think this is a wonderfully intimate way to meet hand picked wedding vendors by one of the Bay Areas premiere wedding planners. Oh and did we mention your ticket includes a Champagne brunch? Yes, we said Champagne! 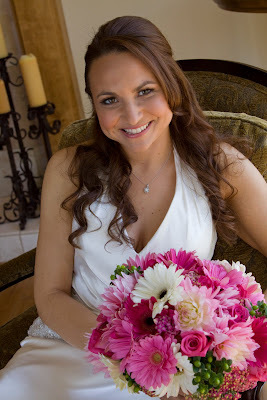 What is a bridal tour you ask, well visit www.dreamalittledreamevents.com and click on Dream Bridal Tours for more information. Happy planning ladies! What a fantastic value from Stila, only $25.00 for 8 mini size lipglazes! The Dolls are long time fans of Lip Glaze for its fabulous texture and transparent, but oh-so there color that compliments any look. Did we mention they smell amazing too! The set is a great way to have a multitude of lip glosses at your fingertips and will fit perfectly in that little holiday clutch. Available on line at stila.com or sephora.com. A collection of eight mini Lip Glazes give you non-stop shimmer and shine! Copyright The Makeup Dolls. Ethereal theme. Powered by Blogger.